Finding the right software to enhance your business, whilst improving your staff’s ability to sustain and secure new business is very important. Finding a company who can also provide appropriate and timely support services, ensuring the investment made is realised and maintained, is as important as choosing the right software applications to begin with. If you have reviewed the FAQ’s below and have not found a solution then contact our support team via email at uksupport@commsoft-rms.com or call 03330 121 121(01344 866920). The Support Centre is available between 9.00am and 5.00pm. Support calls will be ticketed and dealt with in strict order of receipt/severity with all calls from customers with valid support plans in place being responded to within 4 hours; customers with a valid support contract will be given priority over those without. Before contacting support, please review some of the most common questions and answers listed below. Click on a question to display the answer. What are the Ports used within the Office Solutions range? 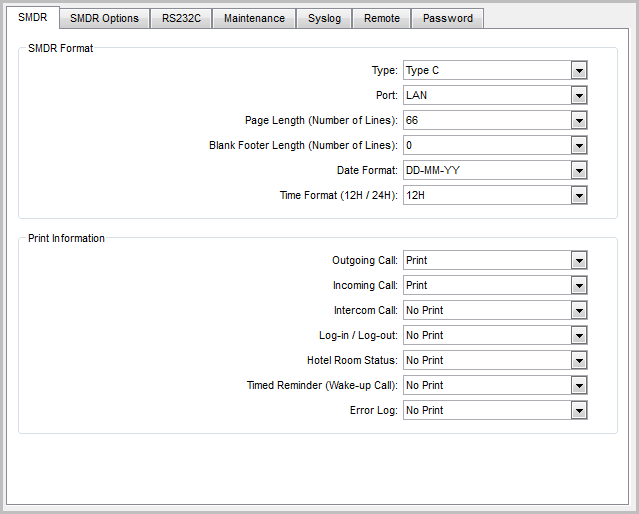 Remote Logger Viewer (Ports 5000 and 5001 by default, can be changed in the Call Logging section of Options when Advanced View checked.) Note: The Voice System Administration application uses the same Today page port. Typically you will have one port that is being listened on and another adjacent port that has the data sent on it. The ports are grouped at the 5000 range for the Today Data functions and the 7000 range for ACD functions and Ticker Tape functions. Port 5000 – This is the default port setting for the Call Logger listening for a command to send raw data from the Call Logger to the Remote viewer. This is changeable in the Call Logging section of Options with Advanced View checked). Port 5001 – This is the default port that the Call Logger sends the data on and the Main Application listens on for the data for the remote viewer. Now this is NOT directly changeable but is by default as it is tied to the above port by a hard coded formula that is “Listening Port # + 1”. This means if you change the port number for the remote viewer to say 4044, then automatically, the system will change the data port side to 4045 (4044 +1). Port 5005 – This is the default port setting that the Call Logging Service listens on for requests for the Today Page. Port 5006 – This is the default port that the Call Logging Service sends the data on when a request has been made on the corresponding port (5005) and in turn the main applications listen on for the data for the Today Page that is sent by the Call Logger. Port 7000 – This is the default port setting that the ACD Logging Service listens on for requests for the ACD Page. Port 7001 – This is the default port that the ACD Logging Service sends the data on when a request has been made on the corresponding port (7000) and in turn the Phone System Administration application listens on for the data for the ACD Page that is sent by the ACD Logging Service. Port 7002 – This is the default port setting that the Ticker Tape (Server) sends on for requests from the ACD Logging Service for the Ticker Tape display. Port 7003 – This is the default port that the ACD Logging Service sends the data on when a request has been made on the corresponding port (7002) and in turn the Ticker Tape application listens on for the data for the Ticker Tape display that is sent by the ACD Logging Service. What applications do I allow within the Windows Firewall? The following programs need to be enabled within the Windows Firewall. Why can’t I stop the services from the Service Monitor? The main reason for this is due to the User Account Control being enabled within Windows. How do I install additional extension count licences? After you have purchased some additional extension count licences, CommSoft will email you a new licence file. What Operating Systems does the Office Solutions Suite run on? Both 32-bit and 64 bit versions are compatible.